I hope you take a minute to hop on over and see what everyone else is up to today. http://www.reginagrewe.de/index_e.html Here's where you go to see the other things the awesome designer, Regina Grewe, of the Bowl pattern is up to. I especially love the cat paper pieced pattern. My daughter would love a quilt made out of these blocks. Here's where you go to get the pattern for the paper pieced bowls. Here's what I did with my block. I know, not very impressive compared to what most of the blog hoppers are up to, but I joined the hop to help me get over my fear of paper piecing. This little block took me about 30 minutes. I'm not sure I did everything correctly and when I tore the paper off, some of the stitches came undone, so I need to be a little more careful I guess. But, I did accomplish my goal of facing my fear of paper piecing! Now, if I go on the show Fear Factor and one of the challenges if to paper piece a quilt block, I will know that I could handle it. 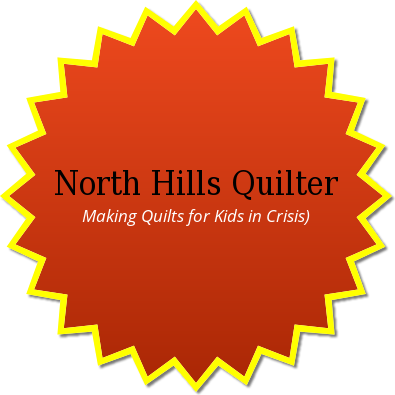 I love blog hops that challenge me to try something new so I can get better at quilting. 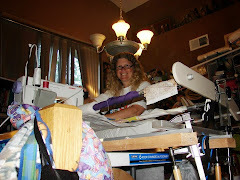 I hope you will join up with a blog hop the next time you get the chance. 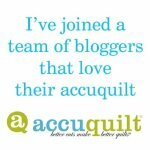 If you hear of a blog hop that features applique, that's my next hurdle. I have so many different applique dies for the Accuquilt, but just can't bring myself to sit down long enough to try them out. THANK YOU so very much for providing the link to the pattern! I've been so inspired by these bowls and my fingers have been itching to try a stack or two!!!! Love your little bowl. Good job for your first paper piecing project. You are right - a blog hop may also be a playground to try a new technique. Keep going! I know how you feel. I am still working on my fear so well done for this bowl. Only 30 minutes?? Wow, you were fast! The only PP block I did took me about 5 hours!!! You did good, girl!! Great single bowl. I mean, how many bowls do we need to eat a single meal at one time? Glad you got one done and showed us. Thanks! Great you tried a feared technique, I hope that this bowl is the first of many other paper pieced projects. Love that deep green you have used! and it does feel good to try something new and have something very nice when you finish! Your bowl is very cuter!! It`s nice try something new and hope this is the beggining of great adventures with paper piecing. Your bowl turned out nicely! Congratulations on facing your paper piecing fear... I used to be afraid to do paper piecing, now I do it all the time. Happy quilting! I skipped this blog hop for the same reason you joined it, paper piecing is my nemesis. If you didn't share any of your problems with the bowl pattern, none of us would have been any the wiser because the bowl looks great. Paper piecing was difficult for me too. Thanks for staying with it. I think your block came out fine. You should be proud of yourself! Paper piecing takes some getting used to as I find it counter intuitive. Well done! Oh, this block reminds me of my grandmother's crockery bread bowl - all she used that bowl for - and made the best bread!! Thank you for sharing with us today. Thank you for sharing your lovely bowl. I think a quilt made of these bowls would look quite pretty. RosemaryB here: Adorable colors! Well done! This is my first blog hop and my very first paperpiecing project so I know, I commend you on your courage to try this out and your efforts look wonderful. It was a fun hurdle I bet! I hope you get to work now and make that quilt of kitty paperpiecing for a quilt. I love all of Regina's patterns as well! your little bowl just pops off the fabric .... YOu have made a great start on your paper peicing. now go and get your dies and then you can fill your bowl. Great first project, yaaaay you! I like the colors you used.. as for tearing off the paper, maybe a shorter stitch length next time? I usually use 18 stitches per inch (on my old Singer)! Well,you did better than me, I am still afraid of paper piecing. Well good for you for taking the challenge. Paper piecing takes some practice and you did good on your first bowl. Your little bowl is sweet! And good for you for working toward conquering your fears!! Good for you for overcoming your fear of paper piecing! Nothing like a blog hop to just jump in and try something new! Yay! You did it, conquered that fear of paper piecing and you posted it. That's what makes us move to bigger and better things. I don't applique, so we will be facing that fear if something comes along. I have lots of Accuquilt dies, too. Thank you, thank you for hopping along with us. You are so right...facing a fear and just doing something can really be a way to incorporate some new techniques into our creations. We all start with baby steps...and Madam Samm is the best cheerleader. I do hope you got over your fear of paperpiecing! It is so much fun! Your block looks wonderful! Well done. Very good for a first time paper piecer! Glad you tried. Great job! I'm so scared of PP too. Way to go Marilyn! You met your fear challenge and it wasn't as bad as you thought! Kuddos to you for trying something new! Your paper pieced bowl looks great! I wonder if you enjoyed the paper piecing, or if you feel you have done it once and no need to revisit the skill? The object of these blogs is for us to try something different so very good for you and I think it is cute. I've found the best way to keep the stitches from coming out is to make really small stitches when I sew. You did a great job on your first block. Good for you! It is hard to work outside our comfort zone. You did a wonderful job. Chin up! Good for your first try. Remember to make a shorter stitch as that will stay in better when you tear your paper off! Try another, and I bet you will be more pleased with your project. Good job! And good for you for jumping in!! I have to admire you for doing the paper piecing. It's one thing that I don't like because of having to clean off the peper. My tear the stitches out too. Good job! You did a great job on your first PPed block! Keep plugging away and soon you will create a masterpiece. The old saying is no guts no glory ... you did well to not only do something new, but to share what you made and learned ... good for you! Good for you. First time. Great job. I have to start trying new things too. Great start to the paper piecing world. Wonderful job. You give me hope that I may also try out paper piecing...maybe I will try now. Yay, you did it and with very nice results. It's good to try new things. Meh, it's just fabric so what is the worst that can happen. Try smaller stitches or thinner paper so you don't pull your stitches. I'm using tracing paper from the dollar store and it works fine in my printer. You did a great job!! Thanks for sharing it with us!! Great job, and thanks for sharing. Your next paper piecing will be even easier for you. Did it work? Are you over your fear? It is my fear also. I began conquering my fear of applique with the Red, White & Blue Hop. I really want to try paper piecing. I decided I have to do more than read books..I have to TRY! Which you could teach me! Congratulations on facing your fear of paper piecing. Trying is the only way we learn after all. Your bowl came out quite nicely. Woohoo, Marilyn! Way to go with getting past your fear of paper piecing. Your bowl looks lovely. Yay for tackling paper piecing! Hurray! You did it! Hope you enjoyed it. Marilyn-You are an inspiration. I have yet to acquire paper piecing as a skill myself. Applique is not difficult, unless you're talking about hand done,needle turn which is much more time consuming and can be complicated. Best wishes and thank you for sharing from the Bay Area. 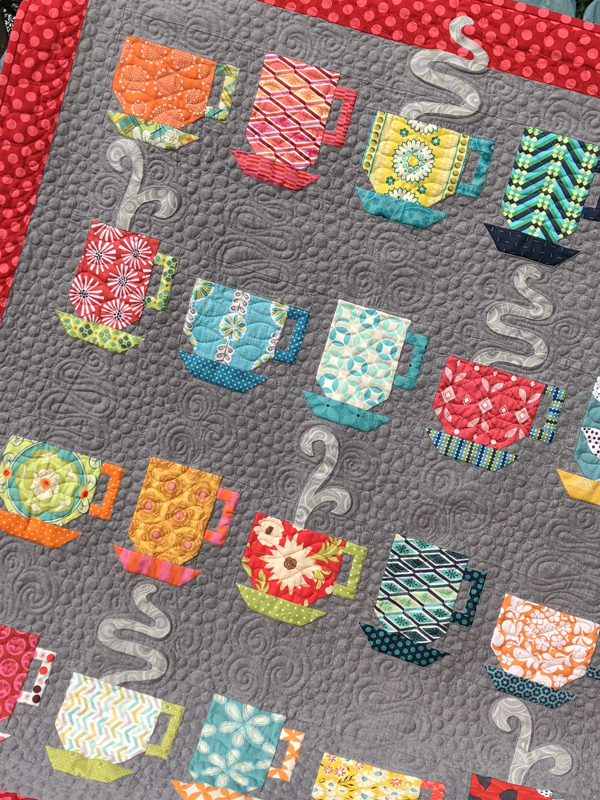 Keep at paper piecing and soon you will love it! It is very addicting once you learn! You did a nice job at your first little bowl. What a cheery yellow bowl, thanks so much for sharing! Are you joining the next blog hop? Well done, I really like your bowl. It's just waiting for something cooked up from your new kitchen. 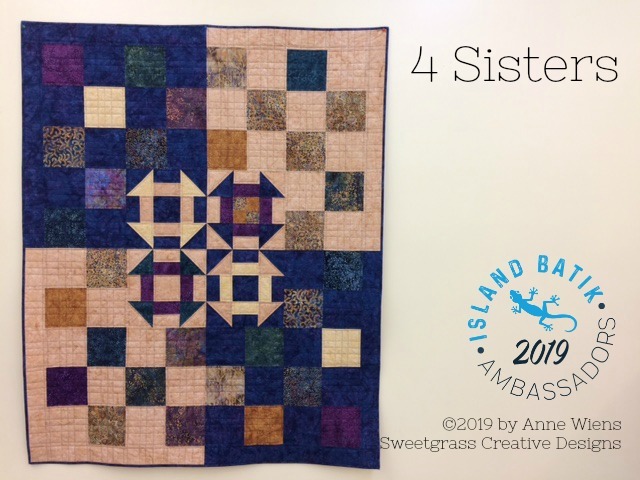 Good luck with reaching 100 quilts! I'm writing down too many ideas from this blog hop! My first paper piecing took forever....Good job for tackling a new technique! Marilyn, you did good, you made your bowl and 1 bowl is better than no bowl. I said some choice words before I finally finished mine. I worked on it for 6 hours and it still wasn't finished...went to bed at 2 a.m. and I finally got my 1 bowl finished, made the message board and then crazy me tried another bowl. It did go together faster. It is a good thing to step out of your box and try new techniques. Thanks for sharing, have a great week!! Your bowl is great for the first time at paper piecing. I know how to paper piece but haven't done it for years.... I tore my hair out, cursed a bit and ripped (unsewed)a bit,I think we all did, except for those who do it all the time. but here is one tip that I learned years ago........... First, fold and CREASE every sewing line twice, forwards and backwards, exactly on all the lines before you sew anything. Makes removing paper MUCH easier!. Another tip (but take with with a grain of salt) is to shorten your stitch length. The downfall of shortening stitch length is, if you need to "unsew", it's harder because stitches are tinier. Great job! You nedd to have a first time anyway! It's nice. That is one nice looking bowl! Love the bright yellow of it! Thanks for sharing. I think you did a wonderful job! Love your bowl. 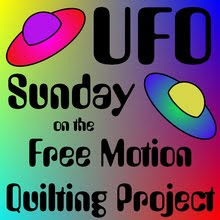 Looking through your blog and seeing all the quilts you are making, I'm impressed you got your bowl done, hehe. Good luck on getting all your quilts done. Thanks for sharing your project with us, great job! won't you join the club? Money Smart Family® - Living Better while Spending Less! How long to make a quilt? 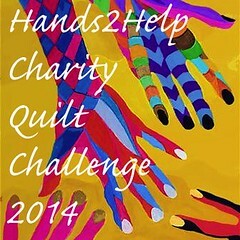 How many quilts in 2012?